Key Difference: Maturity and immaturity are both terms that are linked to emotional intelligence. Maturity basically means to think and act like an adult. Immaturity, on the other hand, is when someone thinks and acts like a child. In the most basic terms, a mature person is someone who acts their age, whereas an immature person acts like they are actually younger than they are. People are often complimented by saying that “You are too mature for your age,” or insulted by saying that “You are acting immaturely for your age.” What does maturity and immaturity actually mean? Why is one good while the other bad? Maturity and immaturity are both terms that are linked to emotional intelligence. Maturity basically means to think and act like an adult. A mature person is someone who acts with wisdom and has self control. Immaturity, on the other hand, is when someone thinks and acts like a child. They don’t think about responsibilities or consequences, but rather live in the moment. In the most basic terms, a mature person is someone who acts their age, whereas an immature person acts like they are actually younger than they are. However, the appropriate behavior for someone at a particular age is subjective. 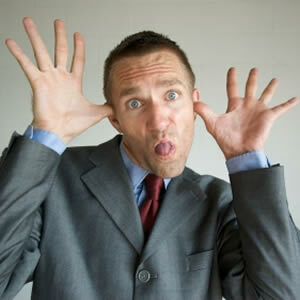 A particular behavior at a certain age might be considered mature by some, normal by others, or immature by others. However, there are some behaviors that most people agree show maturity or immaturity. A mature person will talk about situation and deal with problems on hand like an adult, whereas an immature person may run or try to avoid their problems rather then face them. A mature person is confident and has self-control, whereas an immature person may be more like to be dependent on other for their self worth. An immature person will also be more like to throw temper tantrums when they don’t get their way, much like a child, because they would have limited control over their emotions. Immature people are also more likely to blame others rather then accept responsibility. Despite all this talk, it is more likely that no person is completely mature or immature. Sure, each person will lean in one direction rather than the other, and leaning in either direction too far maybe too extreme. Too mature, and one may come across as cold and distant, while too immature, and one may come across as a child in a man’s body. However, most average people are both mature and immature at different times. When one is at work, they may act maturely, while among their friends they may act immaturely. Mature refers to someone who acts their age or someone who acts like an adult. Someone who acts like a child or tries to act younger than their age. Will not accept blame even when at fault. Will blame others. Use sophisticated toilet or crass humor. Do not need constant attention and gratification. Are confident with who they are.